Shipping packages via USPS got more expensive yesterday (January 17), but there was good news for online sellers who ship packages weighing between 13 oz. and 15.99 oz. However, eBay's system has not updated those particular rates for sellers using its shipping labels to print postage. The USPS is now extending First Class Package Service (FCPS) beyond the previous 13-ounce limit to 15.99, resulting in savings for shippers. But sellers are unable to get those rates to print on eBay for FCPS items above 13 ounces. The bad news - the problem has yet to be fixed as of Monday afternoon. Sellers also reported the problem on the eBay Selling board. When the problem still hadn't been fixed on Monday, a seller suggested his colleagues try an independent online postage provider, "Open a free account with Stamps.com for eBay sellers. (double check entries when opening the acct, for eBay) Then you can print labels correct and for the pricing on 1st class." How are you coping with the changes that went into effect yesterday on online marketplaces, USPS, and through postage providers? Why should eBay be motivated to fix this. The more shipping is, the more eBay makes. I was astonished how much a simple 1 oz packaged jumped. eBay and the Chinese....riding on the backs of USA sellers' shipping. No big deal for us. We just continue to use stamps ( the kind you lick ). It is time the Chinese and other countries pay into the system from with they take. This is why I am voting for Trump. What I found hardest about this whole rate change thing was finding a chart that showed what the actual prices would be. I didn't need charts showing the percentage of change. I wanted the actual costs. I couldn't adjusted my international rates until Sunday because of this and I don't sell through ebay so it wasn't their fault. I have had orders coming in with buyers paying the new rates that I had to charge as most of my goods are lightweight sewing patterns. I also had a multi-item order that because of the rate change meant the buyer didn't have to pay anything extra for buying two items where I used to have to have an increase. If I get more multi-item orders due to the customer being able to buyer 3-4 items for the same shipping as one item I will be happy and so will they. I printed shipping labels on eBay with the new extended First Class rates Sunday morning. I didn't experience any problems. I was very happy with that part of the change. Not so much with some of the Priority rates. You may not want to use USPS click n ship anymore. As of yesterday it changed to retail rates. They are no longer offering the commercial rates it did before. So yes, you will pay more using Click N Ship. Use some other site. Pretty much any other site will get you the reduced rates. However 1-3 Oz FCP is cheaper by 6 cents at Click n Ship. Ebay isn't the only site that charges a FVF on S&H. I don't like that fee anymore than anyone else and I wish it would go away too, but the fact is that Ebay wasn't the first to place that fee on sellers, nor will they be the last. Relax. EB will fix it. Everything moves slowly these days. There aren't enough people to fix things overnight like we would like. Folks - just go to Paypal.com/ship now or the USPS.com if you want to ship above 13 oz. It's that simple. When I packed items at 10:30 AM EST, the 13-16 ounce 1st class was working fine in the eBay label system. I was surprised that they were ready for it! When I go to USPS website to attempt their ''Click n Ship'' labels, USPS website does not accomodate First Class postage there. Runs.With.Scissors, you are correct. I think Marie is confused but what I heard is, you go to the PO and pay at the counter to get the 6ct discount. Not worth my time for one item. If I did multiple pkgs per day at that rate I would, but not one. Marie may have read that about Click N Ship in my article this morning, but readers have since pointed out that Click N Ship does not support First Class - sorry. I'm awaiting official confirmation, but that appears to be the case. Also, one would presume you could apply $2.54 to a 3-oz package and have the postal carrier pick it up, so you don't actually have to visit the PO to save the 6 cents. And since you don't really have to lick stamps anymore, that may make it more appealing. And someone just pointed out that in their case, tracking is most important, more than saving 6 cents. These increases will result in a large chunk of change over the next year, unless you are Chinese that is. 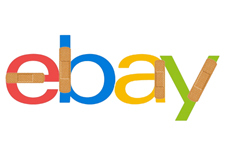 When will ebay be fixing the problems? PayPal eliminated access thru that link a while back. I, too, am looking for somewhere to access Regional Rate and Commercial Base discounted mailing not thru PayPal or Ebay. Unfortunately for me I do not mail enough to cover a subscription to Stamps.com, Endicia, etc. Nor does ShippingEasy look like it works for people who cannot connect a ''Store or Site'' to their site. I guess I will just go stand in line at the Post Office and make them earn their money. The thing that kills me most is at USPS.com when you check a shipping price it doesn't show the 14-16 ounce first class package rates! Good job, USPS! And they had months and months of warning of the change in pricing to integrate it into their programming, and missed the mark - again!